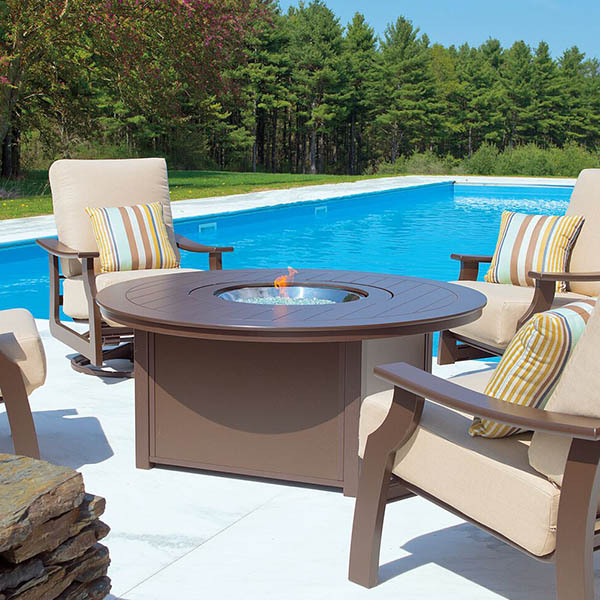 The Round Fire Pit Table by Telescope Casual has three different options for use. It can be used as a regular table when covered with the included top. When uncovered, the table features an electric fire pit that comes equipped with burner and control panels. Optional is the Square Glass Surround, constructed by Telescope specifically for this table. 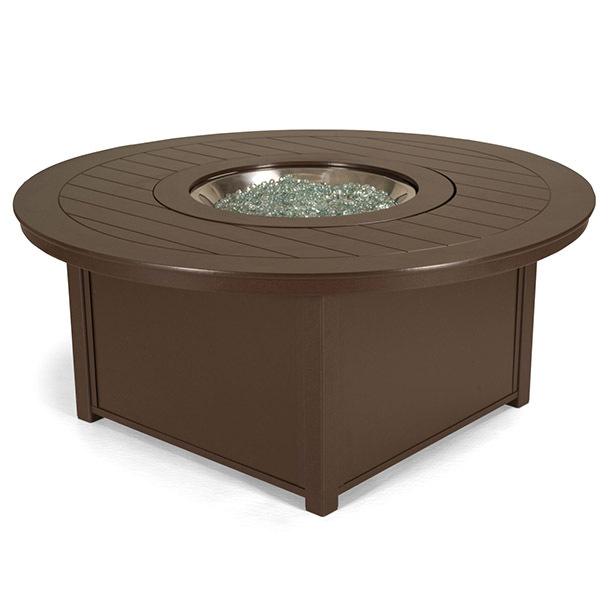 Fire Tables by Telescope are made of Marine Grade Polymer, making these Fire Tables especially unique. Marine Grade Polymer is one of the most durable outdoor furniture materials in existence. It doesn’t swell, splinter, fade, or breakdown with weather exposure or use. 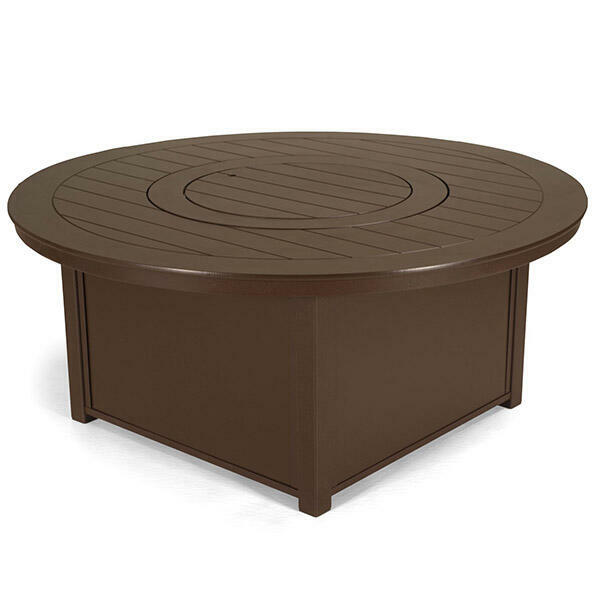 Stylize the table yourself with a range of color choices and slat pattern choices.